Within 3 months you'll be able to launch your first retreat. This business-in-a-box training is like an MBA for the wellness entrepreneur. What are the benefits of becoming a HolyMama Certified Retreat Facilitator? There is nothing more fulfilling and rewarding than knowing you are making a positive difference in the world. Happiness studies show that the more people participate in meaningful activities supporting others, the happier they become and the more purposeful their lives feel. Becoming a HolyMama Certified Retreat Leader means you will be connected and in community with like-minded others. You will be living a life with integrity, purpose and contribution. HolyMama works with the new paradigms of leadership that are all about cooperation and co-creation. We believe in the alchemy of circle and that circle has the power to hold it all. It is power from within, not power over. By using these principles you will find true connection with staff and clients (what we like to call our ‘LoveField’). 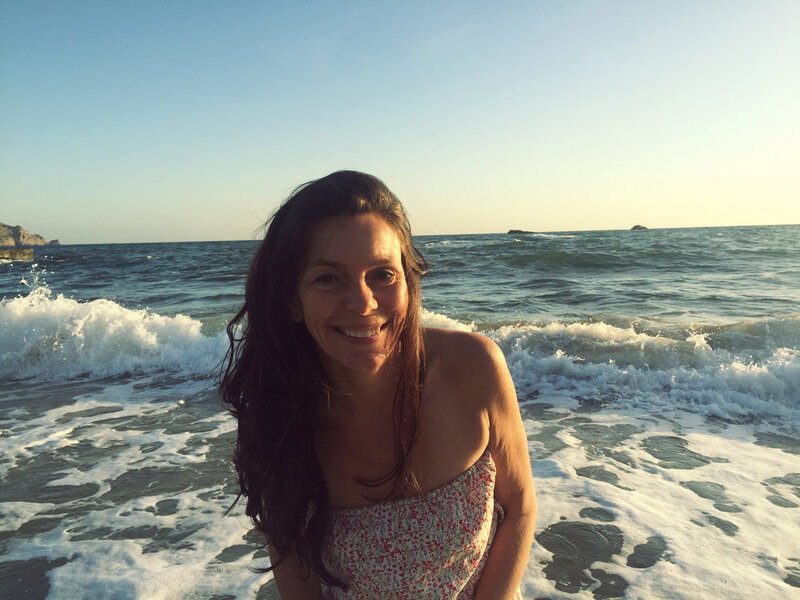 As a HolyMama Certified Retreat Facilitator you will also support others in their own transformation and contribute to building a more loving planet. By facilitating the awakening, expansion and empowerment of others you are part of something much bigger. By taking the training you receive a tried and tested retreat business model that works. It is a holistic business in a box. After ten years of experience as a yoga resort founder, retreat leader and integrative nutrition health coach I have blazed a path that others can now tread with confidence and ease. Develop the professional skills to make money doing what you love. Whether you are a stay-at-home mum or looking for a side hustle, becoming a HolyMama Certified Leader is a new career path that is all about freedom. The freedom to choose when and how you work will lead to more financial freedom. The working environment for a retreat facilitator is safe and sacred, rather than being fear-based and competitive. When you have freedom in how and when you work, everything feels easier. You spend your days doing what you enjoy, rather than what you are being told to do. Financial freedom is being able to take a walk when you feel like it, take a day off when you need one or are desperate for some down-time or self-care. Financial freedom is also time to be with family and friends. This career will expand as you do. It is not limited or restricted. There is no glass ceiling. Becoming a HolyMama Certified Retreat Leader is an opportunity to reset your entire world. Your personal growth will be accelerated and you will become initiated into the art of sacred space holding. Once you have grasped the basics of hosting retreats with children, you can basically do anything. This is the hardest retreat to lead. I often joke that running a yoga business in crazy, unpredictable India was good preparation for running retreats with postpartum mums and children. It’s like you need bristle on your teeth. Any retreat you decide to do after this will feel like a walk in the park. So get the masters version of retreat hosting and you can always change your niche later. Get my blueprint of 10 years experience developing and leading retreats around the world. How to create a ‘LoveField’ around your retreat participants and team. I will guide you step-by-step through everything you need to know in order to run successful retreats around the world. You'll also receive the forms, worksheets & special bonus tutorials with my personal mentors so that you have everything you need to hit the ground running. This is an online training with the option to get live, onsite support. I will share what I have learnt in over 10 years of running retreats around the world. And believe me it is a very steep learning curve. So instead of falling in the deep end of retreat leading chaos, you get a huge heads up and can avoid the mistakes I made. Templates, Handouts and Funsheets for costs, bookings, schedules, retreat programme etc. In Module One we will explore the importance of sacred and embodied feminine leadership at this time, as women awaken to a new way of being with themselves, their families and children. We will discuss how leadership could look in the new paradigm. You will learn how to use circle for leadership and how to create a Love Field for your attendees. Providing a safe container for the transformation of your staff and retreat attendees is essential for a successful retreat. I will delve into the archetype of the High Priestess and why she is useful for those who want to lead retreats. We will look at different levels of leadership and find out where you are on the scale in terms of being an effective, embodied leader. Studying different laws of leadership we will build on your strengths and work on your weaknesses. We will explore the importance of aligning with your ‘why’. What are your values and goals, and how will becoming a Holy Mama Certified Leader support this vision? Finally, we will also cover self-care, energy levels and boundaries – vital components in order for you to be in your power as a grounded and centred Retreat Leader. N.B Previous to Module One you will receive a kick-start bonus training with fun tests to check your strengths and discover your why. In Module Two we firstly focus on you, your goals and your ambitions. We deep dive and explore the type of style you would like to offer, what suits you, and what do you want to offer as a Retreat Leader. We then focus on your avatar, your target market. What kind of women are they and what energy and needs they may bring to your retreat. Taking all this into account we will define the path for transformation for you and your attendees and what could be your unique brand positioning. This module includes a special bonus seminar on embracing and owning your personal shadow and understanding the collective feminine shadow. Module Three is all about location . Let's find your Dream Retreat Location. What do you need to know when you go on a reconnaissance mission and location scouting? What is important and if things can be improved, how? We will go over key negotiation points with the venue and what you need to look out for. Using our Holy Mama checklists we give you the confidence to ensure it is the perfect venue for your retreat. We discuss the importance of child friendly venues and what this exactly means. We will also discuss the benefits and challenges of sourcing an established venue, or developing your own. We cover mark-ups and how this can affect your choice of venue. Following Module Three, you will feel confident enough to nail down the venue for your retreat, so that this training is not just a dry run. In Module Four we make the number crunching and viability of retreat profitability easy. Via a profit clarity work sheet you will get creative. I will let you in on my first retreat story, and we will delve into the importance of building a non-debt business through to revenue flow. We review your expenses and costs through to pricing, salaries and profit. We cover organic growth, the pace and path to success, and the advantage of growth and demand. I will share my insider view on growing a retreat business over a decade and how to know when to scale. And of course how to scale. We cover your team and employee development, recruitment and retention. In this module we also look more closely at the wellness industry and how important it is to walk your talk. The goal after all is sustainability, freedom and happiness. Module Five focuses on Marketing. We look at the different types of marketing you need to implement off- and online. We will look at websites, copy, and traffic. We will also look at email marketing, list building strategies, sales funnels, newsletters and ways to attract your clients. With the HolyMama website templates you will be able to put together a website and we will talk about techie things like opt-ins, conversions, analytics and Chinese (otherwise known as HTML). We will also provide some basic design tools and tips to build your own website and a list of our favourite providers. I will share with you the keys to marketing with authenticity and heart and the psychology of smart marketing. This is actually a complete training in business and marketing condensed into one module. Talk about value, value, value. Module Six has an emphasis on team, team building and team management. We talk about the importance of all roles and responsibilities within your team and the benefits of having an inner circle. This includes the essential inner circle criteria. We cover who you need to hire, what you want to do yourself and what can be outsourced. We will also explore what needs doing in terms of administration, marketing, teaching, therapy, cooking, childcare and photography to coaching. When you start your retreat business you'll find you are putting out most of the fires yourself, but developing an awareness of what your superpower is will help you delegate when the time is right. We cover attraction, recruitment and compatibility, performance development and even dismissal, to ensure you have the best team possible for your retreat. There will be a special focus on hiring for the childcare team (HolyCarers) as getting this right is huge, if you are organising retreats with mothers and children. You will receive handouts with on-site working guidelines and role descriptions you can use for your staff. In Module Seven we focus on your customer. Using the Holy Mama forms and templates provided, the booking process will be simple and easy...and most importantly legal. We review customer expectations, to ensure everyone´s needs are met and exceeded, accommodation legalities, and how to build a simple and risk free booking process, so you can focus on your customer and their needs. A very important part of a retreat business is on-boarding and here we will share our secrets on how to 'get bums on seats'. Good communication between you and the customer is key. There are ways to do it well and ways to absolutely not do it. I will share my stories and mistakes I made along the way. This module will also look at what to do with difficult customers, how to hold the space for a big group and how important intention and acceptance are in making your clients feel safe. Module Eight has a focus on the daily schedule of your retreat. This is a lot of fun. We review retreat schedules, minute by minute to ensure you can go about planning yours with fine detail and have space for those special finishing touches. I will share my secrets of what didn't work and why, so that you can plan your schedule knowing the pitfalls. We will look at the crucial first two days of the retreat when expectations are most high and give you an idea what happens over the course of a transformational week. I have served hundreds of retreat clients over the years and not one group or retreat week has been the same. BUT there are some general rules of thumb, when it comes to what works and keeping things flowing smoothly. In this module we'll also look at shorter retreats, like a 3 day weekend retreat - which could be a good way to start, if you want to test the waters first. We will give you ALL our tips and secrets. This module will inspire you to create your own experience, based on our tried and tested model. In our final module, module nine, we look specifically at what it means to run retreats with mums and children. The demand for these kind of retreats is huge and mothers are in such need of them. We will look at meal planning and timing (which is worse a hungry mum or a hungry toddler?) and will give you our HolyCarer Childcare schedule, which has taken us years to perfect. When the children are happy, the mums are happy. Part of our special sauce at HolyMama is to provide children with space for learning and expansion and of course lots of fun and laughter. Once you learn how to host a retreat for mums and kids you can apply many tools to all kinds of retreats: Yoga; Detox; Meditation; Spiritual Teaching; Life Coaching; Boot Camps & Adventure. Following Module Nine there will be a final call to integrate and embody the teachings, as well as an opportunity for us to celebrate in a Closing Ceremony. This is a special, by-application only training for a select, small group. Yes I'm ready! Take me to the application form. I am a Swiss-English author, speaker, activator and coach specialising in womens´ health, fertilility, pregnancy and motherhood. Before becoming a retreat founder and mother of three, I worked as a journalist and foreign correspondent for radio and TV. I’m passionate about getting women to feel more in control of their health, well-being and life. I awaken others to their own intuition and strength. I’m also known as a visionary who breaks forward old paradigms and helps women shape-shift. Are you Ready to Change your Life and Empower Others? Do you share the HolyMama Vision of Co-Creating Retreats for Women and Children all over the World so that these Safe Spaces become the New Normal? I am offering the HolyMama Certification Programme in response to the increasing demand for this specific training and because I believe in the power of women co-creating. We ran the first round of this course in 2018 and many of the graduates have successfully launched and hosted their first retreats (see their retreats here). Our next course will take place January to April 2019. If you would like to join our select group please apply via the link below or email us. Register now to be part of the next group to take this out into the world.